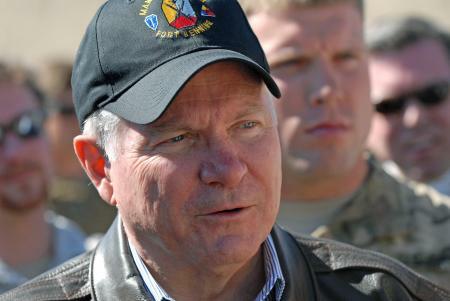 Former Defense Secretary Robert Gates has been elected as president of the Boy Scouts of America. If approved by the Boy Scouts’ National Council, Gates would serve a two-year term as president starting in May, the press release says. Gates served as defense secretary from December 2006 until June 2011. During his tenure, he personally wrote letters of condolence to the families of troops killed in Iraq and Afghanistan. When he took office, so many troops were being killed in Iraq by roadside bombs that going outside the wire was akin to playing Russian roulette. Gates decided troops needed more protection than up-armored Humvees could provide, so he marshaled the Defense Department and industry into an effort that sent thousands of Mine Resistant Ambush Protected vehicles downrage.